People's Army of Vietnam (PAVN) Navy's two new Gepard 3.9 frigate will ​​mounted with defense missile and artillery systems ZM89E Palma the near future, according statements Director foreign economic operation KB Tochmash Sergey Ignatov on 24 Arpil. 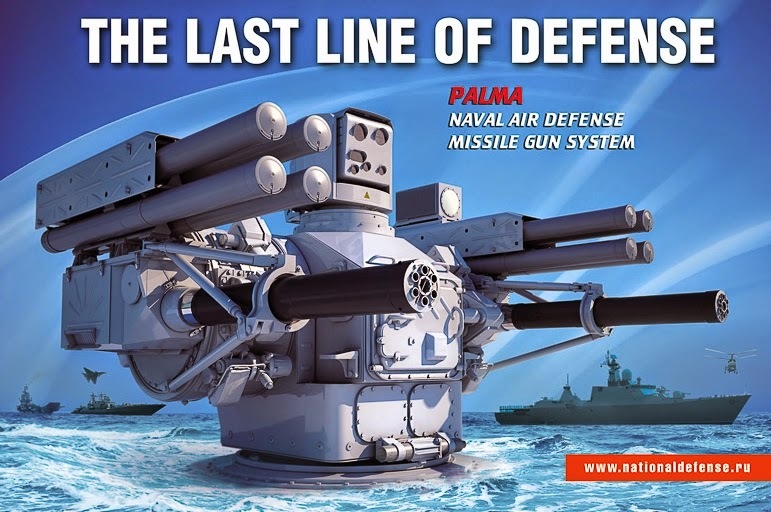 "Two naval defense system Palma was installed on first two Gepard 3.9 ship Navy Vietnam, will continue to be delivered for installation on 2 new ship", Ignatov said. Vietnam Navy is scheduled to take delivery of its third and fourth Russian-built Gepard 3.9 (Project 11661) light frigates in 2017. The PAVN Navy commissioned its first two modified Gepard-class frigates, Dinh Tien Hoang and Ly Thai Ho , in March and August 2011 respectively. The two additional vessels, reported to be anti-submarine warfare (ASW) variants, are being built under a contract signed in late 2011. The class is based on a Russian Navy design, but modified according Vietnamese requirements by the Zelenodolsk Design Bureau. The vessels feature a low-observable superstructure, have an overall length of 102 m, and displace 2,100 tonnes at full load. The vessels can reach a top speed of 26 kt and have a range of 5,000 nautical miles at 10 kt. The Gepard class is expected to replace the four Petya (Project 159)-class light frigates that have been in service for more than 30 years.